Olive Telecom just announced the Olive Pad for India. Here are the full specifications of the device. Looks like the device in addition to it’s tablet functionality can also make calls . It runs on Android although we don’t know the exact version . Although they are calling it as India’s first 3G Tablet looks like it has some connection to Chunghwa of Taiwan as you can seen in the image below. 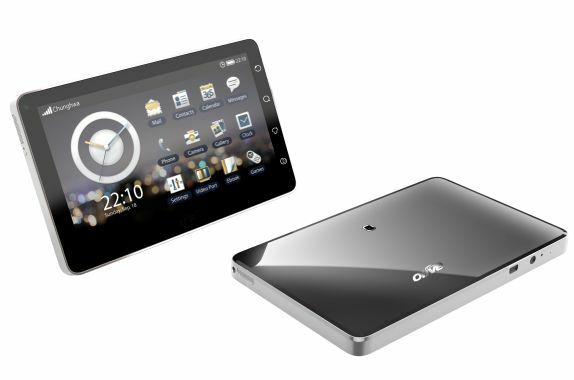 Olive has announced the this tablet will be going on sale in August which is not far away. You can buy it at Croma outlets soon. But they have not revealed the price till now. The company says the it’s launching in India first but has seen interest in Central, Eastern Europe and Russia and expects to launch Olive Pad in those markets in the near future.